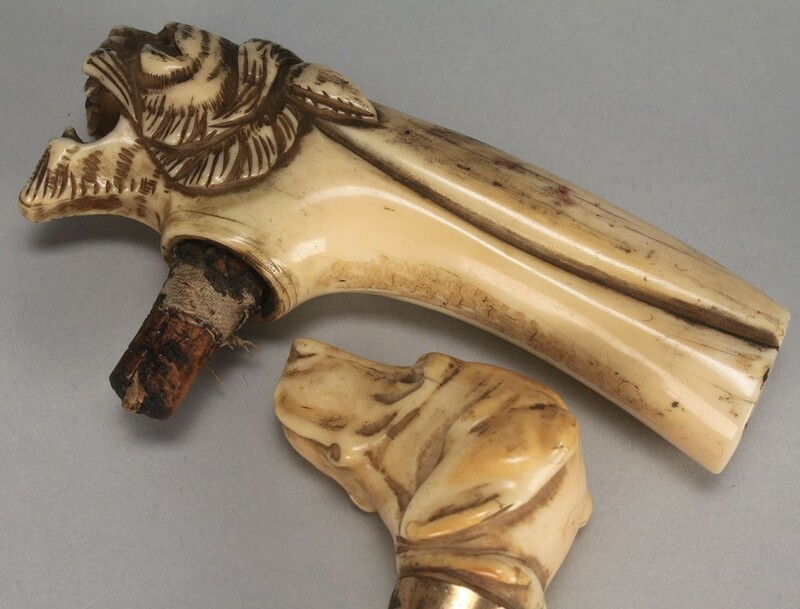 Grouping of 4 ivory items. 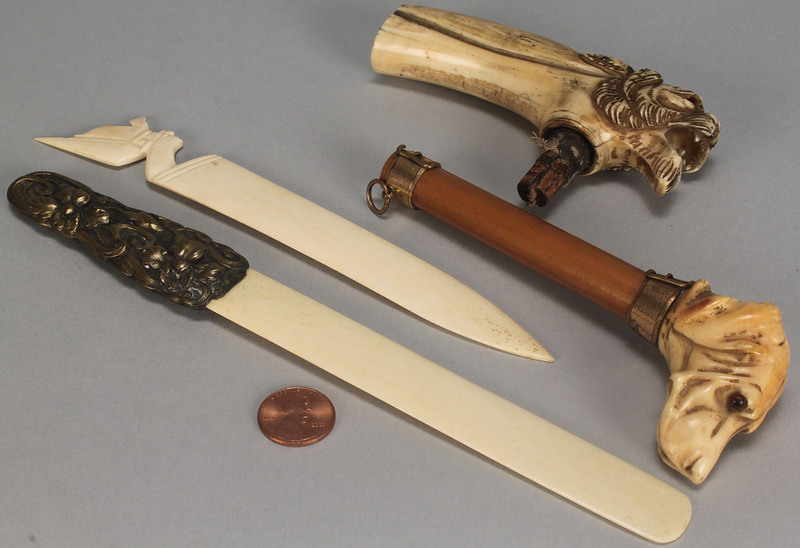 1st item: Ivory letter opener with Egyptian head. 7" L. Late 19th century. 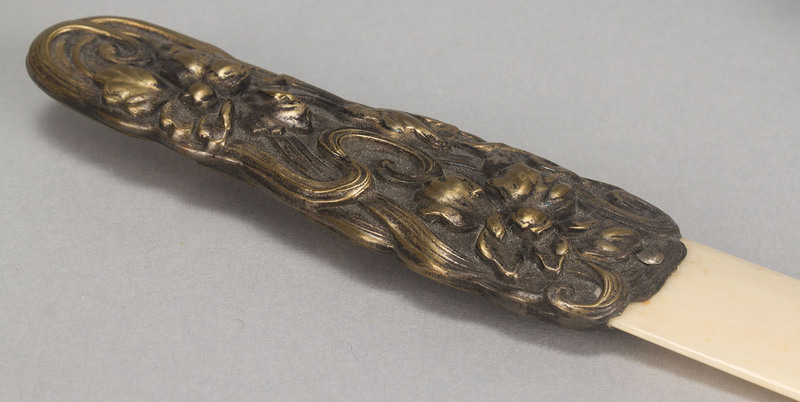 2nd item: Letter opener with brass Art Nouveau handle. 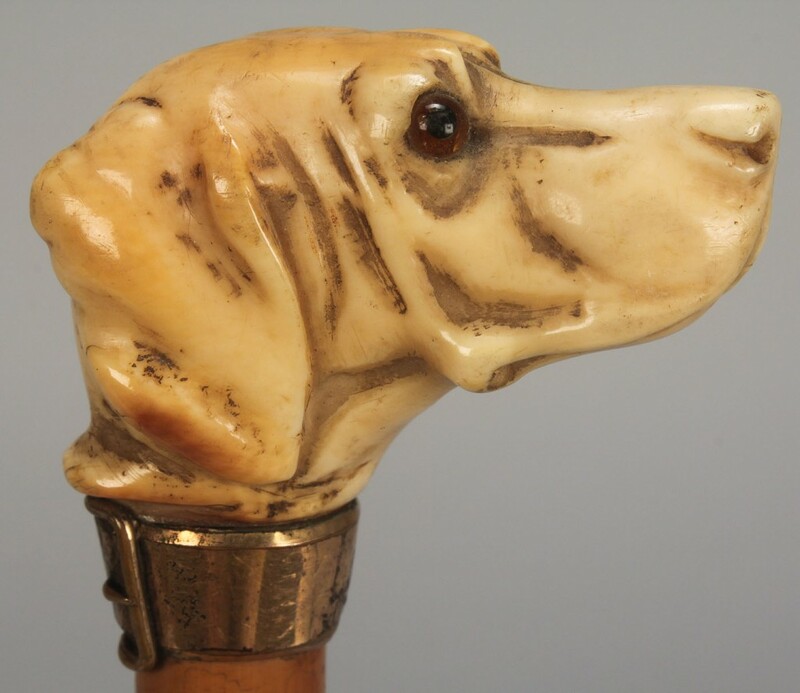 8 1/4" L. Early 20th century. 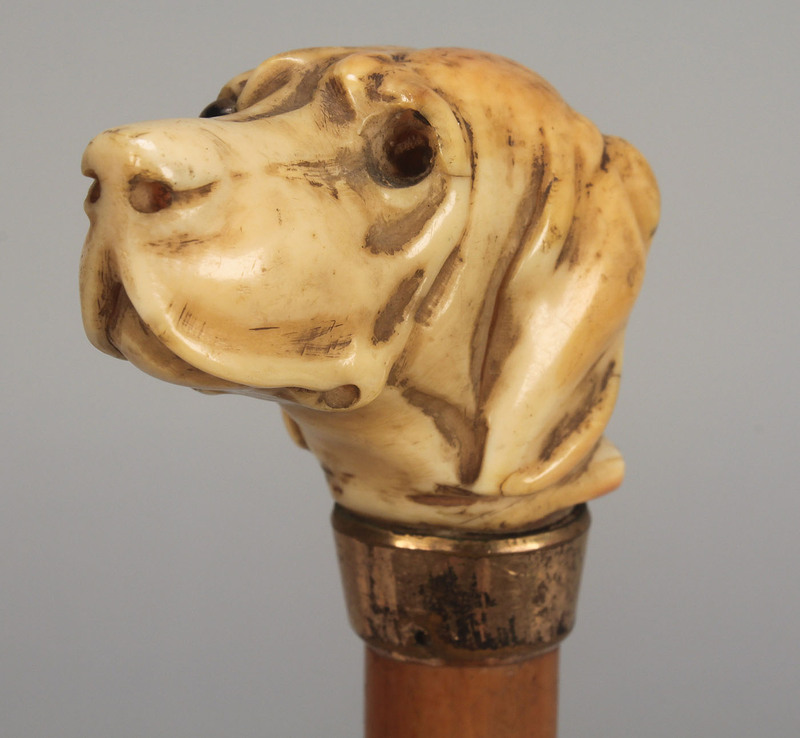 3rd item: Victorian ivory Pointer dog head attached to wooden umbrella handle with brass collar and glass eye. Head measures 1 3/4" L x 1 1/4" H. Total L of handle is 5". Late 19th century. 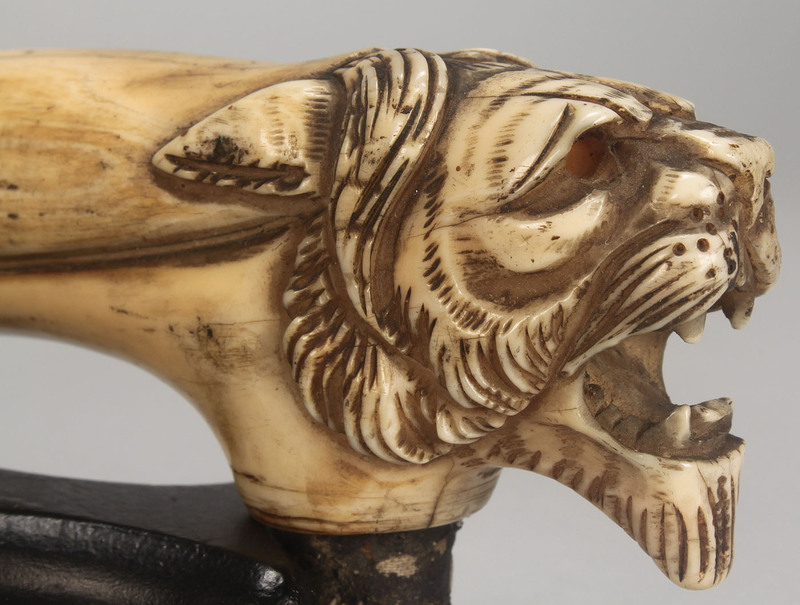 4th item: Ivory tiger cane handle, with tiger's mouth agape. Late 19th century. 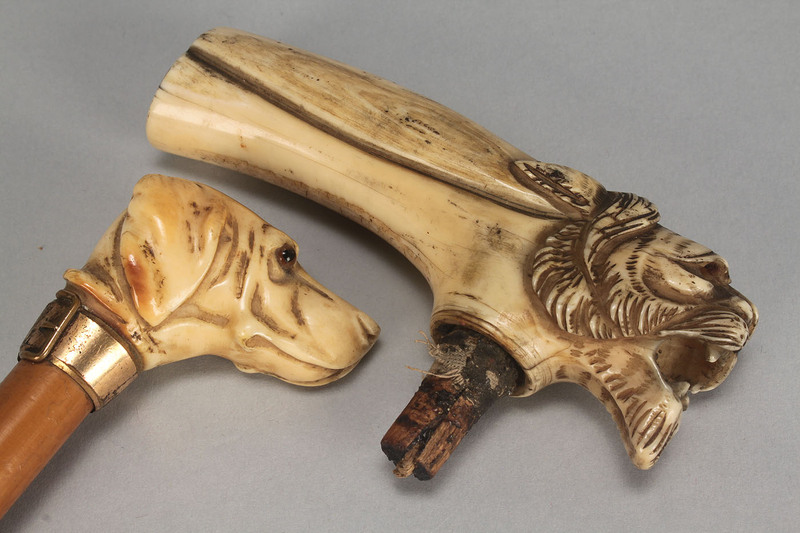 4 1/4" L. Condition: 1st item: Slight loss to tip of nose to head, overall very good. 2nd item: Overall very good. 3rd item: Overall very good, missing one eye. 4th item: Overall very good, missing glass eyes.